Game Insight, a global-facing game developer and publisher for all major mobile and social platforms, is happy to announce that a new version of the official X-Mercs: Invasion website is starting its work. Gain access to all the game information for the upcoming turn-based strategy game at x-mercs.com. Here you will learn the secrets of managing a private military corporation and gain access to the latest news and updates. 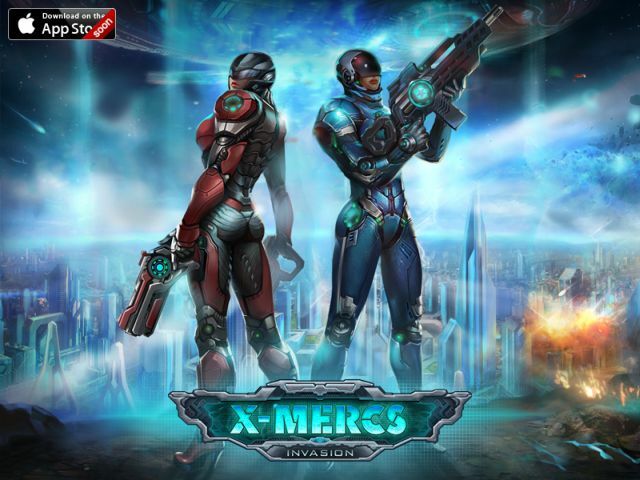 Use x-mercs.com to familiarize yourself with the dangerous world of X-Mercs: Invasion in order to survive. To fulfill your contracts successfully, study your enemies here, equip your mercenaries accordingly and expertly control them on the battlefield. The brand new Gamescom trailer can also be found there. X-Mercs: Invasion is a fascinating turn-based strategy, in which you will become the head of your own military corporation. Gather your team of professional fighters to beat off the alien invasion, raise a modern military base, study alien technologies to find out the motives of the invaders, and learn to create the deadliest weapons. You are the only one who can stop the invasion! Com2US has announced that the Skylanders: Ring of Heroes pre-registration has officially begun.